NEU has established itself as the premier partner for groups and people to show their love and pride for schools, teams, organizations and anything in between. As our tech lead, I am responsible for strengthening our direct-to-consumer channels through the customization and maintenance of both internal and partner e-commerce platforms. This includes the marketplace whatsNEU.com as well as merchandise stores for partners Forbes and ELEAGUE. I also launched our company blog, the NEUstand, in Fall 2016 and continue serve as the editor. 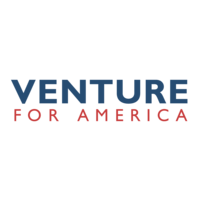 Venture for America is a fellowship for recent grads who want to learn how to build a business while making an impact. VFA Fellows get training and join a startup in an emerging US city, where they live and work for two years at one of our hundreds of partner companies. They learn hands-on what it takes to build a company, while getting the mentorship, network, and ongoing support to prepare themselves to become successful entrepreneurs. Our goal is to spark job growth in cities that need it by sending our top-talent to help grow the businesses that will make it happen. W&L is America's best kept secret. 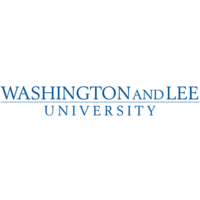 As a student-athlete and computer science major at this liberal arts college, I developed my EQ on the court while honing my programming + analytical skills in the classroom. Through The Connolly Center for Entrepreneurship, I developed my business mind. Not only did I lead pitch competitions and consulting projects as a student, but I have also spoken at its annual Entrepreneurship Summit as an alumnus.